With Holy Week now concluded, I was pondering what appears to be the demise of the local Good Friday service in my community. It used to be that the local churches near my little town would combine to host a Good Friday service, but I heard nothing about it this year. The large (for our area) Pentecostal church of which I am a member does not hold its own Good Friday service, but we did host the traveling community service now and then. 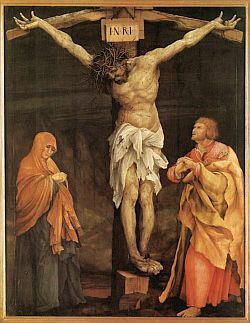 Having grown up in the Lutheran Church, which firmly places Good Friday among the most “holy” dates of the year, the day retains great meaning for me. Since leaving that denomination, I’ve wandered through more traditionally evangelical churches. Almost universally, those evangelical churches have had an indifferent relationship with Good Friday. Scant few held their own Good Friday meeting, and if they did, it always felt more haphazard than those I was used to in the Lutheran Church. Over the years, even those evangelical churches that DID have a Good Friday meeting seem to have let it slide into oblivion. I talked with a Roman Catholic last Good Friday evening and we tried to come up with some reason for the evangelical burying of Good Friday, but we came to no good conclusions. As much as some evangelicals talk about the cross, Good Friday for them is a curious nonevent. And I have no idea why. Do you have an answer as to why Good Friday has gone missing? What are your thoughts on the downgrade of Good Friday among evangelicals? Have you noticed the date sliding into oblivion in your church or community? Why do think this may be happening (or not happening, depending on your local situation)? I miss celebrating Good Friday together with other believers. 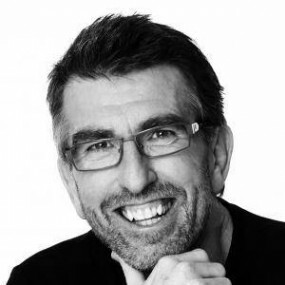 Though I no longer consider myself an evangelical, the majority of my Christian life has been spent in evangelical churches, and I don’t see that changing. I hope someone in evangelicalism starts working to place Good Friday in its proper context for the 21st century. I came of age in the late 1970s. Amy Grant’s song “1974” was for me closer to January 1977, but the sentiment was the same. My spiritual life up to that point reflected the influence of the Jesus People Movement (JPM) that began in the late 1960s and eventually faded away by 1979. The Lutheran Church I was raised in channeled some of the movement and had even begun to change its musical styles for youth before the JPM hit, incorporating folk-styled worship songs that emerged from Roman Catholic youth revivals that erupted post-Vatican II. So when Christianity Today magazine named God’s Forever Family: The Jesus People Movement in America by Larry Eskridge its book of the year, I snapped it up and immediately started reading. A historical overview of the Jesus People Movement, the book traces the movement’s rise among Haight-Ashbury hippies in San Francisco circa 1968, covers the establishment of countercultural Christianity across the country, looks at Christian communes, notes predatory pseudo-Christian cults that arose alongside the movement, discusses the genesis of Contemporary Christian Music, and concludes with how the JPM changed the American Church. For Christians who came of age in the late 1960s and 1970s, I’d call it a must read. You might even see people you know discussed in the book. (I know I was surprised to see a pastor of a church I formerly attended named in the acknowledgments as a contributor of material and background info.) The story Eskridge lays out for readers has a bittersweet taste for those of us who recall those innocent days and wish the best parts of that JPM mentality had not gone missing from the modern American Church. 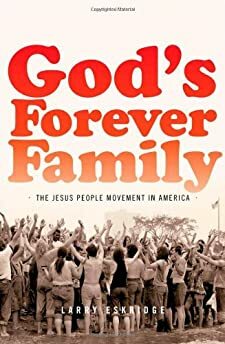 For those too young to remember the 1970s, God’s Forever Family serves as a history to explain why the Church today looks and acts like it does, for good and for ill. I even learned a few things. I did not know the Full Gospel Business Men’s Fellowship graciously bankrolled many of the most influential JPM ministries, or that Pat Robertson had a hand in establishing and legitimizing Christian rock music. The history depicted in God’s Forever Family will help make sense of contemporary evangelicalism and may de-vilify Christian leaders and their ministries that started with good intentions but somehow went off course or moved the entire Church in a direction that has not best served the Lord. In the pages of this book, we see how good intentions sometimes lead to less than ideal outcomes. I won’t offer a review of the book other than to say I wish author Eskridge had delved deeper into more of the issues closest to my heart. But as an overview, it’s essential reading, covering a tumultuous era, the movement it spawned, and the impact it still has today. 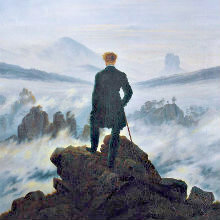 The JPM has been forgotten in recent years, so a contemporary revisit is most welcome. The best Christian book published in 2013? Whether it is or not, you would do well to read it.